Window treatments are an opportunity to define the look and feel of a space. From the type of fabric, heading style and overall length, each type of window treatment has an appropriate use and can help support the desired style you wish to achieve in a space. The terms drapes and curtains are often used interchangeably, but there is actually a distinct difference between the two that is important to understand to be sure the window treatments you have chosen are best suited for your desired application. Drapes are generally made of heavier fabrics than curtains and are lined to block out light during the day and seal in heat during the colder months. Drapes are often tailored in various heading styles, and usually run from floor to ceiling. 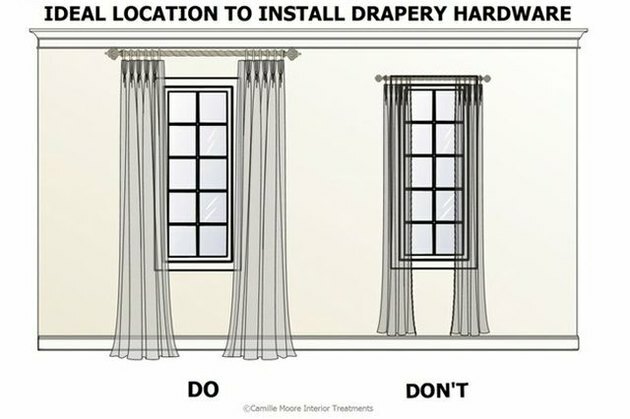 Drapes are characterized as being more formal than their curtain counterparts and are generally more expensive due to the lining and extra fabric needed to achieve a pleated heading. Curtains, on the other hand, tend to be less formal, made of lighter weight fabrics like cotton and are generally less expensive than drapes as they are not lined and require less fabric. The pinch, French, Euro and goblet pleats tend to feel more formal than the relaxed styles pictured on the right. 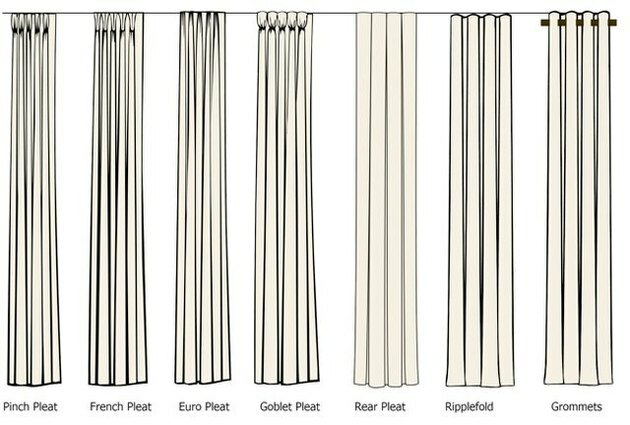 The pleated styles are visibly fuller and require more fabric than the rear pleat, ripplefold and grommet styles. If you wish to have a more casual, relaxed look, hang your drapery hardware so that the panel hangs approximately 1/2″ from the floor. 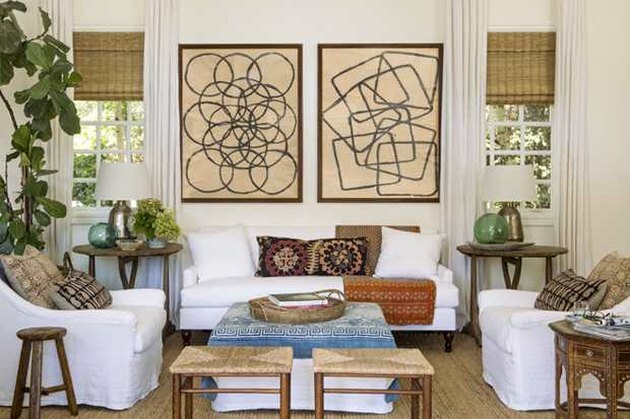 For a more formal look, you can "puddle" or pool the fabric on the floor anywhere from 1″-10″+ beyond the length necessary to have the panels just barely graze the floor. Puddling is appropriate in very lush, formal settings but should not be used on windows that will be opened and closed regularly as the bottoms will dirty quickly. 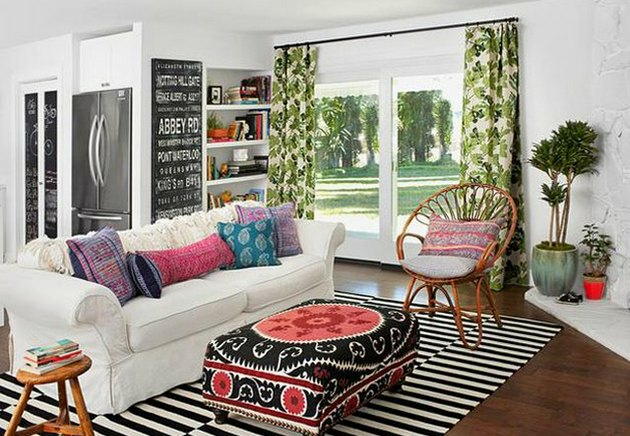 While hanging curtains may seem fairly straightforward, there are a few simple rules to follow that will make your room appear taller and grander than it may actually be, regardless of whether or not you will have your window treatments just graze the floor or if you desire puddling. People have a tendency to place the curtain rod directly above the window casing. Use visual tricks to make your ceilings appear taller by mounting the curtain rod just below the base of the ceiling molding. This draws the eye upward, elongating the space and making it appear taller. 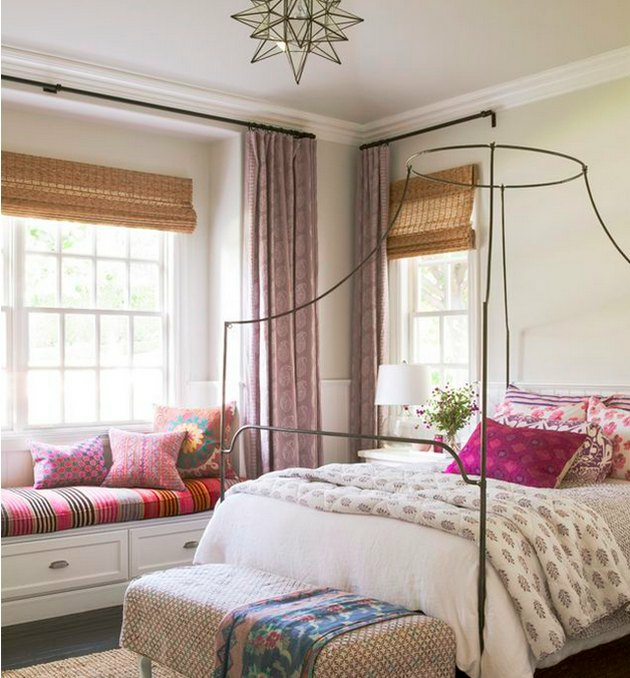 If you are looking for a more casual, tailored look (versus puddling), when measuring for curtain length, be sure to account for the extra fabric necessary to have the curtains barely graze the floor with the hardware mounted just below the molding. Rather than mounting the drapery hardware just outside the window casing, mount the drapery hardware 6-8″ beyond the frame on each side making the window feel like more of an architectural feature that fills more of the wall and can stand on it's own. By framing the window with your drapery panels, you allow more light to flood the space making it appear brighter and roomier.